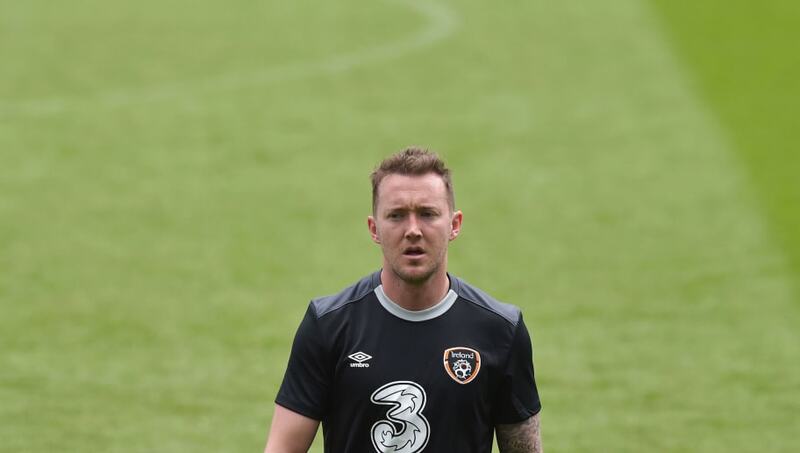 ​Recently appointed Middlesbrough manager Garry Monk is reportedly keen on bringing Everton's Aiden McGeady to the Riverside stadium as the relegated club look to bounce-back to the Premier League. According to an article written for the Irish Independent, Middlesbrough have emerged as the favourites in the race to sign McGeady as he looks set to continue his ​Championship career away from ​Preston North End. McGeady was on-loan from ​Everton last season at the Championship club, and impressed during his time there; picking up the club's Player of the Season award. Although the Lilywhites wish to sign the 31-year-old on a permanent basis, Boro are hoping to convince him to move to the North East. The Glaswegian's current wages are estimated to be around £40,000-a-week. However, McGeady has expressed his willingness to take a pay cut, and ​Middlesbrough would certainly have the financial clout to complete a deal with a reduced salary; as they are one of the more well off clubs in the division and have ambitions to return to the top flight from which they dropped out of last term. McGeady achieved a tally of eight goals and nine assists last season in the North West, and he is very popular amongst fans at Deepdale. However, Preston North End should prepare for disappointment as other suitors such as Boro will definitely be ahead of them in the queue when it comes to offering wages. Which of these newly promoted sides will have the best season in the EPL? It doesn't really matter as they'll all go straight back down again!